1.0 out of 5 starsWhere are the figures? 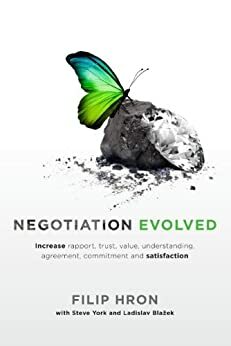 Is it possible that a book about negotiation can make you a better person? This book is exceptionally well structured, deliberate and concise. It provides insight and opportunity to achieve better outcomes for virtually any type of negotiation and communication. It's jam packed full of excellent information, examples and strategies. Understanding and applying the concepts that that are covered will improve your business skills, work place and family life. Yes, really! I purchased and read the book shortly after it came out. I'm on my second reading and am certain to revisit many times. I find myself applying various insights on a daily basis. This is without a shadow of doubt the best negotiation or communication book I have ever read. I will be sharing this gift with family, friends, colleagues, staff and others. Thank you Filip for putting together this extraordinary work. If more people adopt the principles and approaches you show, the world will be a better place.